This pack is a great resource to use throughout the year to help your students show their comprehension of an informational text. The passages and response questions are perfect for a 15-20 minute lesson. The passages are written at a Kindergarten level (F&P C-D, with 51-80 words). Based on the ability of your students, they may read the passage on their own, read it with you or you may read it to them. You will be able to cover several CCSS through the use of this pack on a weekly basis. 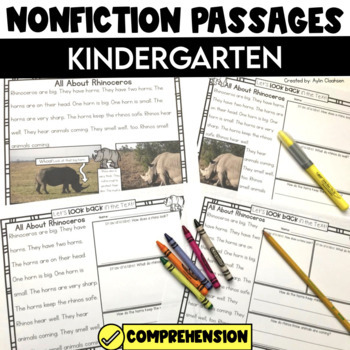 These passages are a perfect way to include NF at a readable kindergarten level in your weekly lessons! 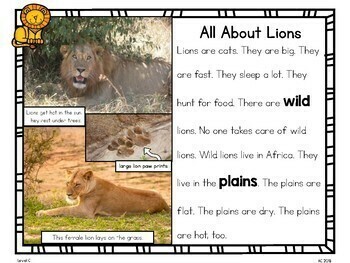 The NF passages can be used in a weeklong, daily format OR just once a week in a small group guided reading lesson. 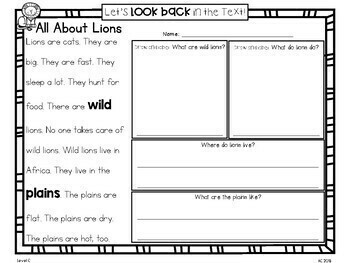 The weeklong format includes graphic organizers with a focus on making predictions, asking questions, main topic, key details, vocabulary and writing about reading. 3 different versions of each passage with the comprehension questions are included. There is a color version, b&w version and a b&w version that includes slightly different questions and an additional question (for your higher students). These can simply be printed, copied and used right away! There is also a main passage which is full page and has full color- this I recommend displaying on a SmartBoard or simply in front of a small group (multiple copies of this page are not needed). *Weeklong Format includes 4 b&W graphic organizers. I hope your students enjoy reading these informational passages as much as mine do! Enjoy! 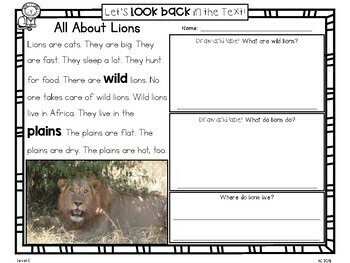 Check out my 1st Grade pack in action which includes the same topics and images- just at a 1st Grade level! Check out my 1st Grade & 2nd Grade Edition of this pack as well! If you have a wide range of students and are looking to differentiate, please take a look at my bundle of all 3 of my NF packs for Kindergarten-2nd grade for 20%!